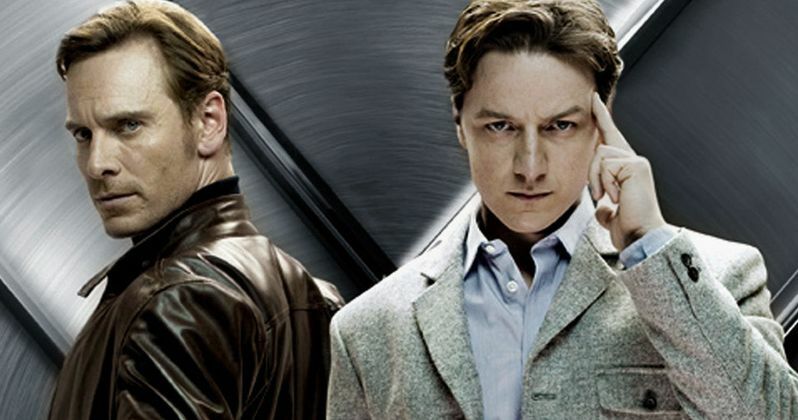 Fassbender & McAvoy Sign for More X-Men Movies? X-Men: Apocalypse is said to bring an end to the trilogy that started with 2011's X-Men: First Class and continued in last year's X-Men: Days of Future Past. The cast shared between all three films are reportedly done with the franchise, with Jennifer Lawrence and Nicholas Hoult earlier confirming that they will not likely be back in future movies. The same was thought to be true of Michael Fassbender's Magneto and James McAvoy's Charles Xavier, as their contracts are running out, too. But a new rumor claims that both actors have signed on for more movies. Both Michael Fassbender and James McAvoy have expressed interest in carrying their Mutant leader characters into the future, with neither ever stating they were officially done with the popular franchise, which kicked off in 2000 with X-Men. The rumor claims that both actors signed new deals this past weekend, just as Channing Tatum solidified his Gambit deal, which has the actor locked in for addition X-Men movies. It isn't known how many more movies either Michael Fassbender or James McAvoy will appear in. But it's clear that neither will die in X-Men: Apocalypse, which some fans have been speculating on. The franchise wouldn't be the same without Professor X and Magneto. Charles Xavier has appeared in all of the previous X-Men movies including the Wolverine stand-alone adventures, while Magneto only missed out on 2009's X-Men Origins: Wolverine. The report also indicates that 20th Century Fox is eager to sign new deals with Jennifer Lawrence and Nicholas Hoult as Mystique and Beast, but that has never been confirmed by anyone associated with the project. Last month, Jennifer Lawrence did say she was open to appearing in more X-Men sequels. Mystique is another character that has appeared in most of the movies, and she plays a hugely important role in the next sequel. This time out, X-Men: Apocalypse will have Raven on the side of good as opposed to evil as she sets out to save the world from the movie's title villain. X-Men: Apocalypse is set in the year 1983, 10 years after the events of X-Men: Days of Future Past, which set up a whole new present-day timeline for the franchise. It isn't known how Jennifer Lawrence's Mystique will fit into any stories that take place in the present. It's always possible that 20th Century Fox will put a Mystique spinoff movie into development, set between 1983 and the present day but that is only speculation at this point. It's worth noting that Bryan Singer is rumored to direct The Fantastic Four 2, which has a June 9, 2017 release date set. The sequel may help set up an impending X-Men/Fantastic Four Crossover Movie and could include X-Men characters. If a crossover is being planned, it would make sense to have Professor X, Magneto and Mystique be the Mutants that tie the two worlds together. We'll have to wait for any official word from the Studio itself, as of right now, none of this has been confirmed.